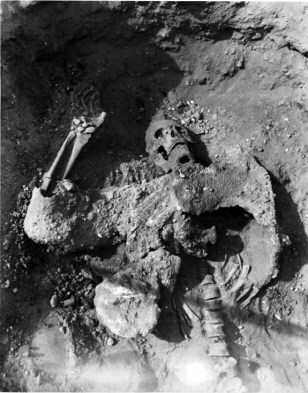 The skeleton of a Persian soldier found in the siege tunnels of Dura. The man may have choked on toxic fumes from a fire he himself started. The man's armor is pulled up around his chest; archaeologists suspect he was trying to pull it off as he died.